At last, public transit routes have been added to Apple's Maps app. 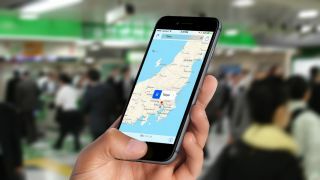 Maps has come a long way since its introduction a few years ago, but with the app's iOS 9 upgrade the missing piece of the puzzle has finally fallen into place. We'll take a look at the upgraded Maps app, and show you how to get the most from its new features. First, the bad news: Maps only features public transit routes for a handful of select locales. If you're in New York City, San Francisco, Baltimore, Chicago, Philadelphia, Washington DC, Mexico City, Toronto, London, Berlin, or major cities in China then you're in luck; if not, you'll have to wait a bit longer to put the public transit features to use. If you are in one of those locations, getting public transit info is pretty easy. Simply enter your destination (and starting point if necessary) as usual, then tap the small arrow to get directions. You'll immediately see options for drive, walk, or transit – obviously, transit is the one you want to select in this case. You'll see the recommended route towards the bottom of your screen (tap it to see the steps involved), but if you're not happy with it or just want to see more options, hit the More Routes button to see what else is out there. Try to get directions in a supported city and a public transit route is but a tap away. After tapping More Routes, you can select another public transit option that's more to your liking. You'll also find the Options button on this screen – tap it and you'll be able to make refinements based on your departure or arrival time, and also decide which means of transportation are included in public transit directions. If you want to avoid the subway, for example, you can tap that option to remove it from your route suggestions. Once you're finished refining the details hit the Done button, and when you've returned to the map tap Start to receive complete step-by-step directions. Transit Options allow you to narrow down which methods of public transit you're willing to take. Public Transit isn't the only new feature in the iOS 9 version of Maps. There's also an addition called Nearby, which shows you places and services in your vicinity. Simply type an address into the search field in the Maps app, then tap the search field to be taken the the Nearby page, which lets you select from categories such as food, drinks and shopping, all broken down into further subcategories. Click on one to see what's in the area, and how it's been reviewed on Yelp. And if the search field is empty, you'll be shown places that are near your current location. As its name implies, the Nearby feature will show you places of interest that are nearby.